Adam Bale got on for a late cameo for Pools against Wrexham. 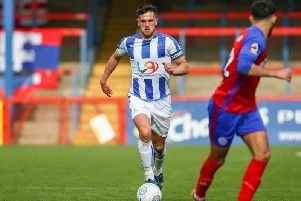 Hartlepool United new boy Adam Bale shares the same work ethic, commitment and attitude as former Manchester United and England defender Gary Neville - he's just not as boring. That's the view of Pools boss Craig Hignett as he prepares to hand the former Sunderland midfielder his chance to shine in the first team. Bale only started training with the Hartlepool squad two weeks ago, but already he's made a big impression on the Pools coaching staff. So much so that Hignett has even drawn comparisons with psyche of Neville. "He’s a bit Gary Neville-ish, not as boring as Gary Neville," said Hignett of the 20-year-old, who made his debut in the closing stages of the 1-0 win over Wrexham. "He wants to be a footballer that much that he will stay out and improve himself and that’s what we want at the football club especially the young lads. "He pushes himself, his attitude is 'it’s pointless me going out and training if I’m not gonna push myself and make myself better'. Bale is just the type of player Hignett has been looking for. He may be raw, he may be inexperienced but he's got something this Pools team severely lacks - and Hignett knows it. Hignett said: "He’s in an around the second ball all the time, he knows his game he’s not fancy he’s not gonna go past two or three, he’ll win it and he’ll give it to people who can play and you miss people like that you need people like that. 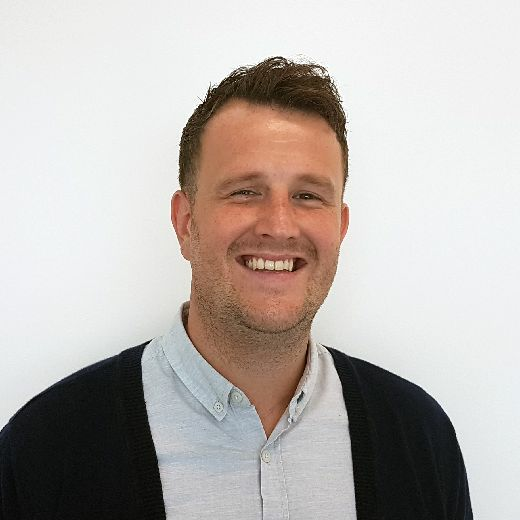 "We’ve got a load of footballers in the team but no tacklers, he’s a tackler and that’s his job is tackling, he’s actually turned an ankle this week tackling. "He’s just somebody you wouldn’t notice on the pitch but he does an unbelievably good job, I didn’t notice him when he was playing for the under-23s at Sunderland. "I watched him three or four times it was only when he came down here and trained for a week through the link up that happened with Sunderland and Bally (Kevin Ball) that you notice how good he is at doing what he does. "He was captain of the Under 23s, but not only is he a good player that goes unnoticed but he’s a really good lad, he’ll be one that if there’s no gym session on he’ll go in the gym on his own and he’ll drag the other young players with him eventually because they’ll see him going in there and they’ll be like where you going and they’ll all go with him."